In the first paragraph of the grant, the writer must outline the problem the program is experiencing and how this grant will assist in solving it. When it comes to acquiring a grant for strength training software, the problem can a few things including: addressing sports-related and non-sports-related injuries, improving overall efficiency in the weights/performance program, or simply aiming to improve the overall health and athletic performance of the student population. An example statement could be "This project is an effort to improve overall health and athletic performance of Johnson High School students as well as make needed technology-based improvements to the efficiency and productivity of the weight room." Next, create a description of the product or service you are looking to acquire by mapping our 3-4 paragraphs on what the product/service is and the benefits it will offer the program. At this point, the writer should be very familiar with the company either through a demo, reading the company website and informational materials. Additionally, ask the company to provide materials to glean from. Is it used by teachers, parents, athletes, coaches? Will it require hardware (tablets, iPads, phones)? The following sections can highlight specific features and how they benefit the weight room, strength coach and student athletes. Perhaps it's a mobile component for student athletes or maybe it's a digital planner for the coach to schedule out programming and quickly change programming on the fly. You do not have to describe every feature the product will offer, but make sure to highlight the 2-3 features that will most impact the strength and conditioning program at your school. Calculate how many coaches and/or student-athletes will be impacted by the acquisition of this product over the course of time. Will this be a school-wide initiative that includes PE or will it only cover the students who participate in athletics? Additionally, what the timeline for implementation? If the product includes a no-fee trial period, include that in the timeline as a "setup period" and then work closely with the vendor on what a typical setup would look like at your school depending on how many student-athletes you have, how many coaches need to be trained, and how many strength and conditioning programs you plan to build/manage. For TeamBuildr, a typical high school with around 100-400 athletes can be fully setup in 4-weeks or less, including the 2-week trial period. Include specific information such as kinds of materials and equipment needed, source(s) of supplies and costs, and matching funds that will be provided. Work closely with the vendor here and ask for the final costs including all shipping costs. Perhaps even ask the vendor for an official quote or estimate to embed in the proposal. It may even help to include a table in the grant proposal with a line item for each purchase and a total line at the bottom. 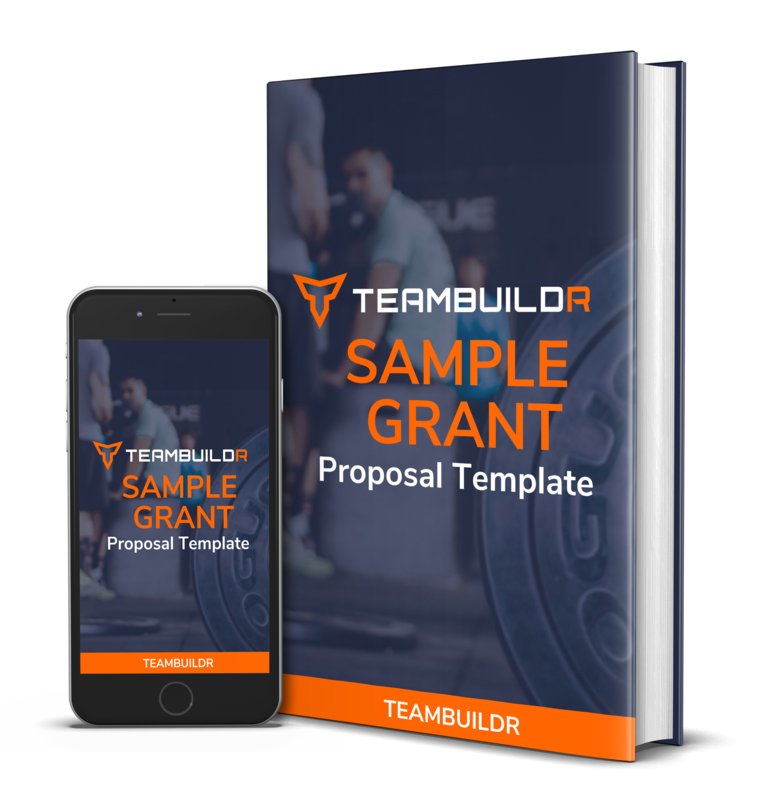 Download our sample grant proposal to get a head start on writing a grant proposal for acquiring TeamBuildr or other products/services for your strength & conditioning program. This sample grant will provide a boilerplate with fill-in-blank fields to help kickstart your grant writing and approval process.